Mudspike Contributor @PaulRix shares his impressions of his recently acquired MonsterTech Table Brackets. 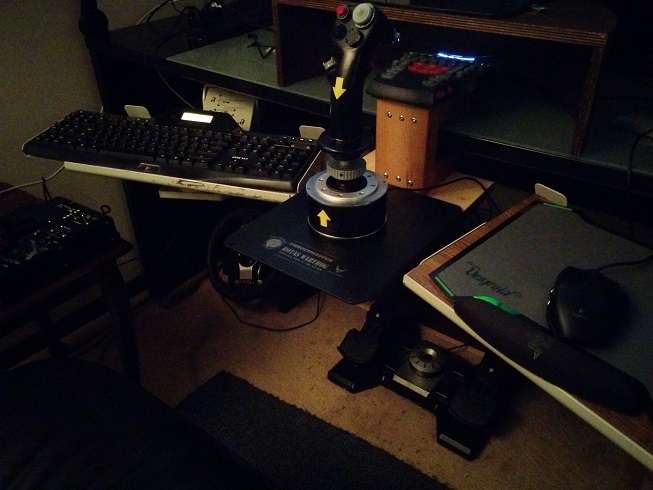 Earlier this year, I upgraded my HOTAS from a Saitek X55 to the Thrustmaster Warthog. Initially I planned to just put the throttle unit and stick side by side on my desk. The problem with that is that the Warthog stick sits pretty high and my desk, which is quite tall, made everything feel rather awkward. It felt like I was trying to fly with motorcycle “ape hangar” handlebars. I very quickly moved the stick and throttle down to my rollout keyboard tray, mounted under the main desk top. This was much better but the tray wasn’t designed for the weight (the throttle in particular, is quite heavy) and I was afraid that it wouldn’t take much for the whole setup to come crashing to the floor. Despite this concern, I continued to use this configuration for a few months. The units were still positioned too high to be truly comfortable though. Less than optimal positioning of the stick also made accurate control inputs harder to achieve. I started looking around for a better solution and that is when I learned about the MonsterTech Table Brackets. 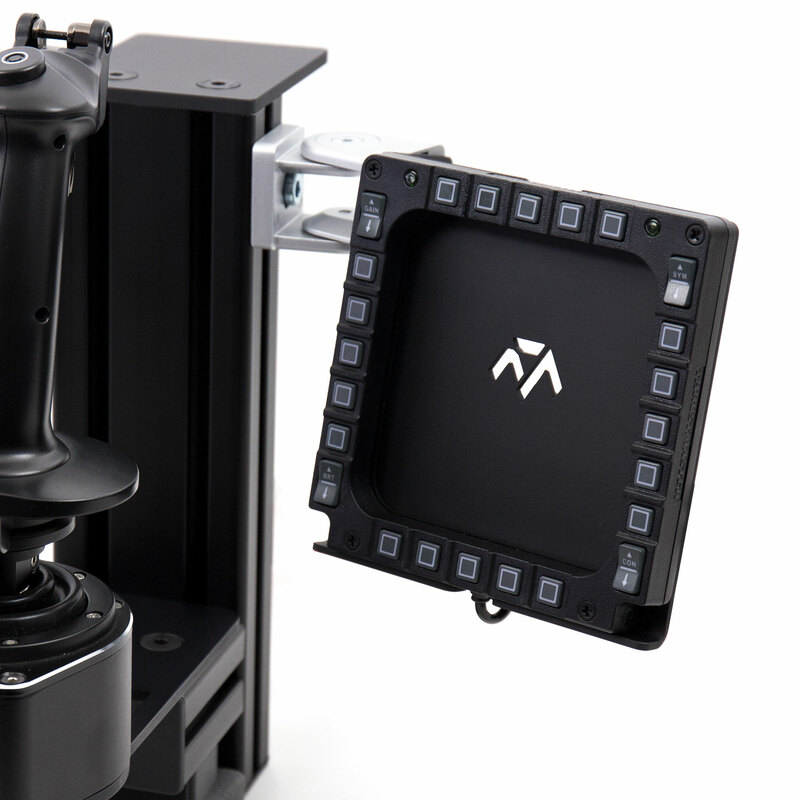 The brackets securely clamp onto the edge of your desk, allowing you to mount the joystick and throttle several inches lower than I was achieving using the keyboard tray. Comments and reviews seemed favorable, so I ordered myself a pair with custom designed mounting plates for the Warthog HOTAS. You can also get mounting plates for other HOTAS units. It took about two weeks before they were ready to ship out from Germany. When I got home from my last work trip the box was there waiting for me courtesy of DHL. The first thing you see when you open the box is a large cardboard envelope. This contains the mounting plates for the stick and throttle units. The next layer down, you get your first glimpse of the brackets themselves. They are larger and heavier than I had imagined. After fitting the joystick plate to the first clamp, I attached the assembly to my desk to see what adjustments would be needed. My desk top is an inch thick and it clamped on perfectly first try. The lever mechanism on the back makes any adjustments straight forward if you should need to make them. It was then a simple task to remove the stock base plate from the Warthog joystick before attaching the stick to the new bracket assembly. 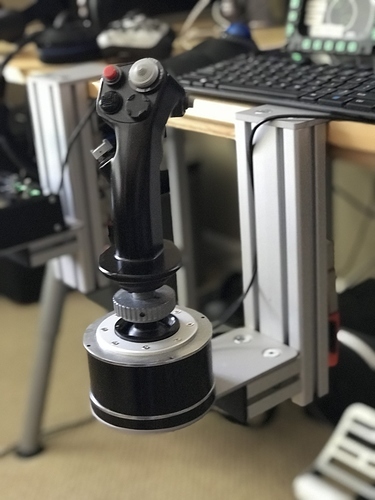 A very nice feature of the design is that you can adjust the rotation of the stick so that it fits comfortably in your hand if you intend to mount it in a central position, as opposed to a sidestick configuration. The majority of fighter aircraft and helicopters use a centrally mounted stick, so that is how I chose to set it up. I rotated the stick a few degrees counter-clockwise which seems comfortable to me. The Throttle clamp is put together in much the same way. I was a little concerned that the weight of the Throttle unit would create a less than solid feel when attached to the bracket but this was unfounded. 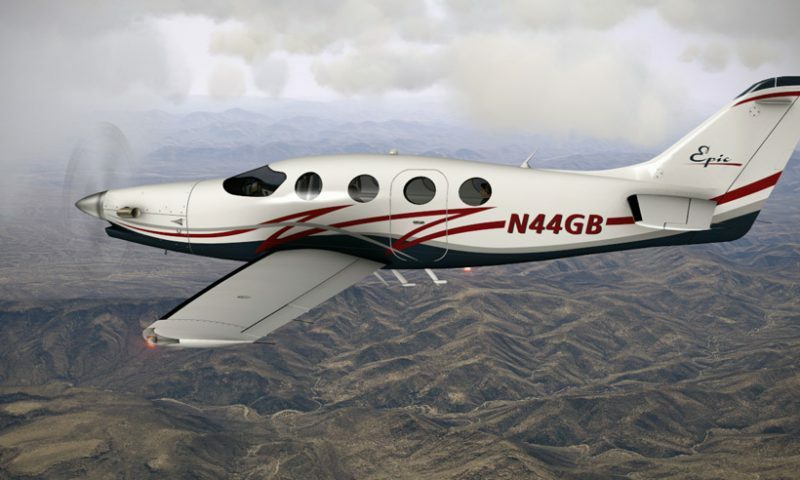 The Throttle is held in a very solid manner even when adjusted to sit as low as possible. You do have to be careful when positioning yourself at the desk for a sim session to avoid banging into the stick or throttle with your knees. I think the clamp and HOTAS would be fine if you inadvertently bumped into one of the brackets, but you knees … not so much. Overall I am very happy with the MonsterTech HOTAS mounting brackets. They are very well made with a solid feel and they look great. Most importantly, they allow the Joystick and Throttle to be mounted in a natural position, much like they would be in a real aircraft. Having the stick positioned in the right place allows for much more precise control inputs as well. 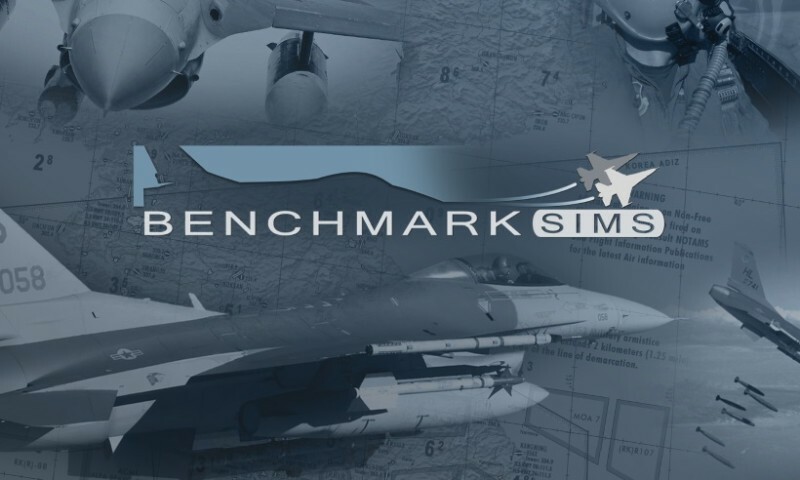 Conclusion: Highly recommended if you don’t want to build a full-blown sim pit but would like to securely position your HOTAS in a more comfortable and realistic manner. Great review - thanks @PaulRix! Plus thanks again to @Fridge for herding this one through. I’m not sure it’ll leave clamp marks on my big and cheap Ikea desk, do you reckon the clamps have a lot of force, i.e. is it spring loaded rather than turn clamps? Well, my desktop is 1 inch thick. Both of my clamps came preset to that thickness, so I didn’t have to make any adjustments. There is a very thin protective layer under the main part of the clamping surface. When I am not flying sims, I move both the throttle and stick off to the side of my desk, still clamped, just off to the side. So far I see no evidence of either clamp marking the desk. edit: I just messed around with adjusting the clamp. It was very easy to readjust it back to fit my desk correctly. +1 review, something I do need and as a Harley rider agree with the set up. My TH WH is up on my gaming laptop desk and not at all comfortable use over long periods, sad really considering how much the stick/throttle is. 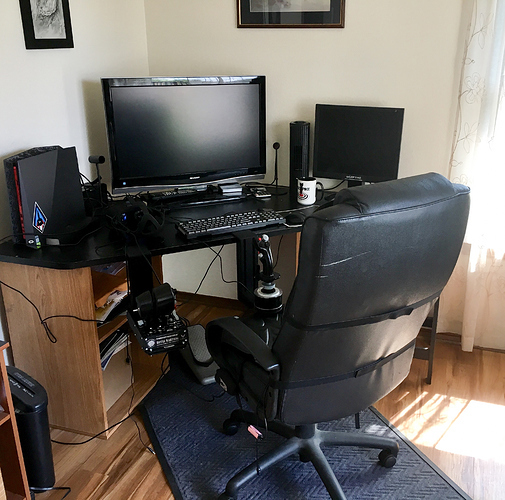 Those Monster Tech mounts look pretty solid but I have a feeling when I spin in my chair to get up (I don’t have rollers on my chair), I’ll eventually break the joystick holder off. The platform floats above my knees and if I do a full throw on my rudder pedals, my left or right knee is just grazing the bottom of the platform (good measurement point). I still love the thing and use a sturdy low side table for my throttle. Spend money on a bunch of parts and materials for my project. Put it all together as best I could. Decide that my efforts are not nearly as good as the commercially available product. Now I just tend to go straight to step 4. For me it actually works out cheaper that way ;). I just received DHL notification that my MonsterTech mounts will be here Thurs. Pretty pumped up to get them, although I will probably have to remove the armrests off of my beloved Aeron chair. I ordered silver to match the hardware on my Ikea desk. But looking at your photos again makes me question that choice. The black looks really trick. Will post photos when mounted. Thanks for the great review Paul. I hope you like them Dan! The black ones do look good, especially as my desk has a black desktop. I continued the theme with the dark Graphite Crosswind pedals. My PC case is a graphite black, and then there is the Rift. Sometimes it all blends in together though! chip, didnt you find the two-arms VESA monitor mount? After trying a few different locations and orientation. I’m definitely at my happy place with the MonsterTech mounts. 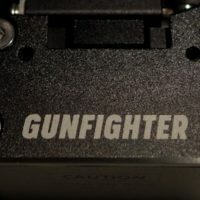 Initially, I thought that I would have a side mounted stick, knowing that the angle adjustment on the Warthog Joystick mount would change not only the grip angle, but the relationship of the control throws to the aircraft’s various axis. But the side setup never did feel correct, especially in the pitch axis when moving nose up. Pulling the stick aft caused conflict with elbow and chair. And it didn’t feel natural. So, I moved the stick mount to the middle and rotated the stick counter-clockwise to a natural position. I tried various aircraft and felt that the stick mount needed lowering to a point where it overlaps the dropped leading edge of my Aeron chair. All of the adjustments are easily carried out with 3 different sizes of allen wrench, 4, 5, and 6mm if memory serves. Then flew some more, and realized that the stick placement was so natural that my brain quickly adjusted for the angle of control throws. I have to say that flying with a center stick is pretty awesome. I had done it IRL taking aerobatic lessons in a Citabria, and later a tailwheel checkout in a Super Decathlon. But, all of my sim time had been with either desk mounted sticks or yokes. Now, I can’t imagine going back. Yeah, so while the VESA mounts will work, the big clamp would have been right at the point of where I wanted to place my keyboard. The MonsterTech single throw lever clamps make it really easy to move my stick around, compared to releasing and tightening the VESA mount arms or relocating the arm. I have a cutoff wheel to trim the post, and could find a machine shop to make some mounting plates, but I had been really wanting to try some 80/20 profile gear. I’m hooked on it now. Very cool stuff. Watching the MonsterTech founders YouTube channel, they seem to have a very logical and humorous approach to their current and future products. They seem like good guys, and I’m wishing them well in their enterprise. Having the stick slightly rotated really was a non issue. I am glad you like the desk mounts Dan! 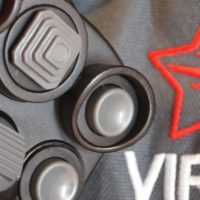 They might be a nice addition for VR. You are making a really good argument for separating me from some of the family income! Another thing that I am thinking about is Velcroing my trackball on the top of the left mount. Now, it serves as a perfect spot for a 12 oz adult beverage. Must carefully weigh the benefits. 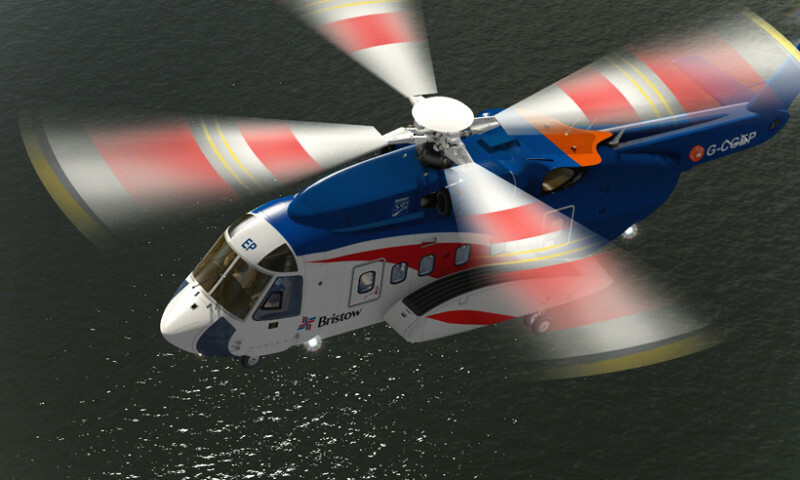 I am seriously considering is a set of their new MFD mounts that are designed to be used with the TM MFD’s. You are making a really good argument for removing me from some of the family income! I have a reputation to maintain you know. Regarding the trackball, I have started resting mine on my lap when playing DCS. 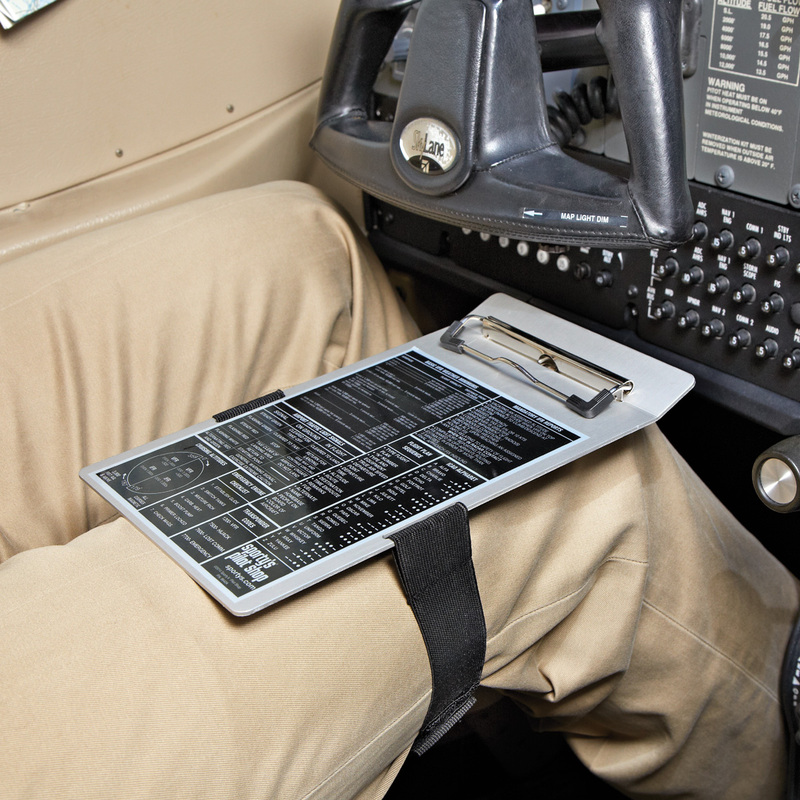 I am thinking of buying a cheap pilot’s kneeboard from Sporties and velcroing the trackball to that. This would allow you to keep your beverage in it’s current location.